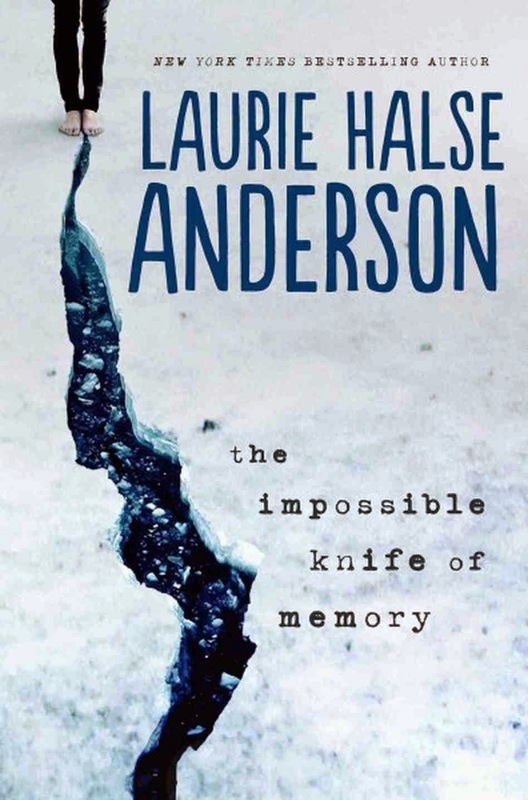 Let's never forget that Laurie Halse Anderson is the queen. Four years ago, I went through a huge Anderson binge where I read and reviewed all her books. I think because Speak is such a classic and Anderson has written so much (did you see how many links there were? ), I mistakenly placed her alongside Judy Blume in the "writers I love who wrote a long time ago." Not so. The Impossible Knife of Memory deals with an extremely modern issue: a father who is suffering from PTSD after serving in Iraq and Afghanistan. Hayley has never had it easy: her mother died when she was little, her father, Andy, is unpredictable and dangerous, and she has blocked out much of her painful childhood. After years on the road, she and her father settle down, and like the cracks in the ice on the cover, people and memories slowly start to break her protective shell. The biggest incentive to open up is Finn Ramos, a boy who isn't put off by Hayley's bizarre behavior and social aversion. The slow development of their relationship is a sweet contrast to the nightmare of Hayley's daily home life. Of course, Anderson doesn't write fairy tales, so although Hayley meets the right guy, there is a lot of drama from start to finish. For the first time, Anderson also gives the reader a peek inside the mind of a parent. Interspersed throughout the book are Andy's flashbacks to the horrors of war. I was brought to tears in a scene where he dresses in his uniform and interacts with Hayley's classmates, knowing how difficult it is for him to reconcile the two sides of himself. This is bravery, I thought to myself. It reminded me a lot of the scene in "The Hurt Locker" when the veteran is grocery shopping and the simplest things are so difficult after surviving the war. Fans of Anderson's books will love this entry in her canon. I tried to think of which of her books it would pair well with, but it is so different from everything else she has written. This is the beauty of Anderson. All hail the queen.